... you may know how disappointing it can be to lack sufficient insurance to cover lawsuits, but have you given serious thought to your professional liability insurance policy? You never know when a client is going to feel like you didn't treat him correctly to the best of your ability, and try to sue you as a result. You might think you have everything covered but this can be one of the costliest errors you can make, if you are wrong. Let's check out an example story to demonstrate just how important the right kind of coverage is. Worried about the costs? Professional liability insurance in Ohio gives you a lot of protection for a lot less money than you'd expect. Ohio Professional liability insurance is available to professional practitioners such as doctors, lawyers, architects and accountants. This policy is used to protect a business from liability around claims of negligence. Who Should Have Professional Liability Insurance Coverage? Company attorneys (hired lawyer professional indemnity). What is Included in a Typical Professional Liability Insurance Policy? Your liability insurance should cover a wide range of issues. This can also include data breach liability insurance, because if personal information of your clients fell into the wrong hands, it could result in significant damages. Your insurance can cover data stolen from office computers, laptops, tablet computers, and smart phones. Liability should also extend to the World Wide Web as attack from cyber thieves is a real possibility these days. This can result in lawsuits and many different fees for things like media reporting and reputation management. D&O - also called directors and officer's liability insurance. It covers corporate officers' actions resulting in damage and legal claims, including intentional acts and misconduct. As you can see, there are many issues to consider when it comes to professional indemnity coverage and when you have a trained and experienced insurance professional on your side, you can be sure that all risk factors are covered. The R.C. Cook Insurance Agency has been in Ohio for over 50 years and we are independent agents providing clients with many different insurance options. This is possible because we are not the branch office of an insurer. We represent you and your interests. The R.C. 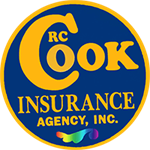 Cook Insurance Agency is a full service agency and we are here to serve all your insurance needs. Click here to receive a free online quote on your attorney professional liability insurance. You may also call (330) 296-3628 for additional information.